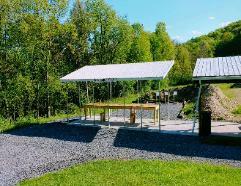 The NEW Pistol/Rifle Range is now open. with paper and a steel targets. someone is downrange and stop and wait. to enjoy. Use it for the intentions it was set up for. NO RAPID FIRE ON THE RANGES!! 2 SECOND DELAY BETWEEN SHOTS. REVOKED AND WILL BE HELD RESPONSIBLE FOR ANY DAMAGE CAUSED!! 2. 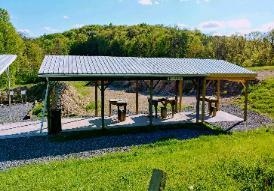 Rifles are only to be used on the Rifle range- not at the pistol range. Automatic weapons. NO 50 cal BMG weapons. Armor Piercing Bullets may be used. person under the influence of drugs or Alcohol to be present. 7. Eye and ear protection must be worn. 9 All firearms to be pointed downrange in a safe direction at all times. 10. Actions are to be open and empty when ANYONE is down-range. 11. No shooting at live animals on club property. waste can at range house. 14. Any violation of above rules may result in loss of membership. 15. This is your range, keep it clean so everyone can enjoy it. Range is under 24 hour surveillance.